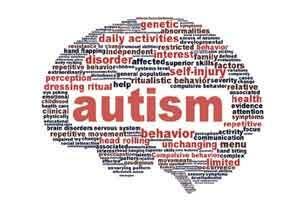 Mumbai: Early signs of autism can often be detected in children as young as 2-3 years and it is advisable that parents start treatment as soon as possible for improved outcomes, according to doctors. Children with autism need social acceptance to help reduce impact of the disorder, they said. “The biggest issue with autism still remains at the grassroots level. Patients need social acceptance and intervention at an early stage. “If a child is not making eye contact while speaking or not responding while being called by name or to gestures then a doctor should be consulted immediately,” said Ketan Patel, a homoeopath doctor based in Ahmedabad. “A child with autism is given a sensory diet comprising various therapeutic activities which can enhance his participation in school and interaction with family and friends. “What the child needs most is the time from his mother, father and immediate care-giver to connect and make him feel secure and independent. “Screen time (use of electronic devices such as TV, mobile, tablets) should be kept negligible and the child should be given toys, books and interactive home-based situations,” she added. Bijal Srivastava, a paediatrician at Dr L H Hiranandani Hospital, said in the present era, a phenomenon called ‘virtual autism’ has been identified where children who are given more exposure to screen time are prone to develop autism-like symptoms which reverse on stopping the use of such devices. “These devices have a negative impact on the developing brain of an infant by providing an exciting world of colours, sound, images. Excess screen time also adversely affects a diagnosed autistic child,” she said.